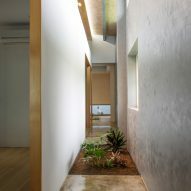 Taiwanese studio Atelier Boter has transformed the second level of a teak furniture shop into a home for its owner, adding a traditional tatami room that looks out onto an indoor garden. Located in the Daliao District of Kaohsiung, Taiwan, The Second Floor property sits atop of a furniture shop that deals exclusively in teak wood. Up until Atelier Boter's renovation, the upper level had been unused. 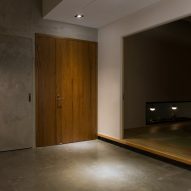 The studio was approached by the owner of the store below to transform it into a home and occasional showroom where customers could see the products in situ. "The building was initially steel framed with iron sheet cladding," architects Wen Shan Foo and Chung Kai Hsieh told Dezeen. "Though it was empty with an open plan with a high roof, it was lacking openings for natural ventilation, hence the high unbearable indoor temperature." 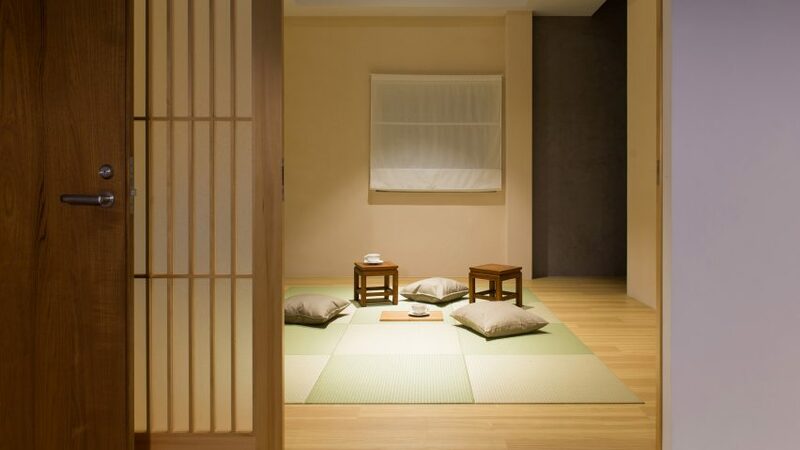 The shop owner requested that the apartment has three rooms – two bedrooms and one tatami room for guests. The rest, aside from bathrooms, could remain open plan to allow for better ventilation and light. Partition walls used to create these separate spaces were designed to not quite reach the top of the ceiling. "We added partitions in order to accommodate the owner's request to have three rooms," they said. "However the height of the partition walls does not touch the ceiling, as we wanted to allow the south-north ventilation even when the doors are closed – there are no windows between the bedrooms and the open dining and living area for privacy." Storage is concealed behind unassuming cupboard fronts, and internal windows are used to frame different spaces. 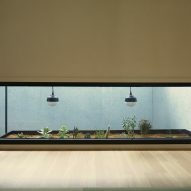 One in the bedroom provides a small reading nook, while a second looks out onto a small indoor garden. 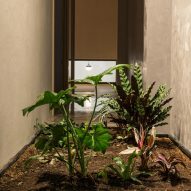 Architects are increasingly bringing the outdoors in through the use of glazed atriums, walls covered in flowers and indoor courtyards filled with trees. The owner also requested that the furniture would stand out in the space, prompting the architects to use light colours and plain materials across the floor, walls and ceilings. Locally produced wood wool cement board provides sound insulation – particularly in the open-plan living spaces. 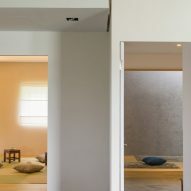 Diatomite covers the walls of the tatami room, while oriented strand board painted in different off-white tones is used as a wall finish by the entrance stairs. "One of the main objectives was to let the furniture stand out in the general setting, hence the light coloured and plain material used for the floor, wall and ceiling finish, that also resulted in a broader sense of space," said the architects. Photography is by Milu Wang.